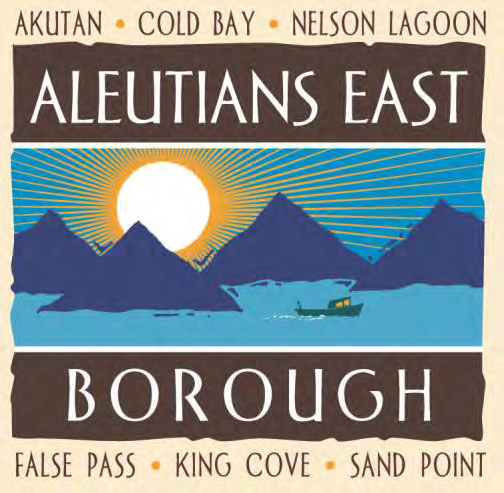 Download the Aleutians East Borough Assembly meeting agenda for February 8th, 2018 (PDF, 108KB). Download the Assembly meeting PACKET for February 8th, 2018 (PDF, 8.75MB). Time: Workshop: 10:00 a.m. – Meeting: 3:00 p.m.
All communities will be provided with conference calling information for the designated location in your community. Public comments on agenda items will take place immediately after the adoption of the agenda. The meeting will also be broadcast on KSDP Public Radio. Additional public comments can be made at the end of the meeting. 1. Roll Call & Establishment of Quorum. 3. Community Roll Call and Public Comment on Agenda Items. – January 11, 2018 Assembly Meeting Minutes. – Introduction Ordinance 18-06 – Records Management. – Introduction Ordinance 18-07 – An Ordinance Authorizing the Mayor to negotiate and execute assignment, assumption and consent of Tidelands Lease for False Pass Seafoods, LLC, to assume the Tidelands Lease Between Bering Pacific Seafoods, LLC and the Aleutians East Borough. – Introduction Ordinance 18-08 – An Ordinance Authorizing the Mayor to negotiate and execute a Tidelands Lease with False Pass Seafoods, LLC for the outfall line to be used to construct a False Pass processing facility. – Resolution 18-24, a resolution of the Aleutians East Borough Assembly amending Section 9.05 of the Aleutians East Borough Employee Handbook. – Resolution 18-25, a resolution of the Aleutians East Borough Assembly authorizing a salary increase for the Borough Clerk. – Resolution 18-26, the Aleutians East Borough Assembly Authorizing a Deed of Easement to the City of Akutan for the Akutan Raw Water Transmission Line Project. – Resolution 18-27, the Aleutians East Borough Assembly Approving the Projects and Initiatives Identified on the Borough Strategic Plan. – Resolution 18-28, the Aleutians East Borough Assembly Requesting the Alaska Legislature Prioritize Funding for the Continued Service of the AMHS. – Public Hearing Ordinance 18-04, amending Title 40, Chapter 40.05 of the AEB Code of Ordinance, adding new section 40.05.105 to provide a platting board. – Public Hearing Ordinance 18-05, amending the operating and capital budget for fiscal year 2018.